Promo Vatican Radio: [Video] The Goodness - Lingo x Ayok x POET ON DRUGS! 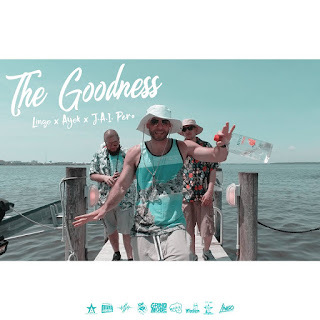 [Video] The Goodness - Lingo x Ayok x POET ON DRUGS! Beat + Verses + Vibes + Visuals = The Goodness! This summer jam vibe, produced by Anno Domini Beats will take you straight to the beach for a couple shots of Vodka as Lingo, Ayok & J.A.I Pera from Poet On Drugs live life in front of the lens!